Have you ever had the siding on your home replaced? Did you know that your exterior light fixtures and outlets were removed and re-installed in order to replace your siding? In fact, most of the electrical components on the exterior surface of your home, including your electrical meter box, exterior outlets and air conditioning disconnect were probably loosened in order to replace the old siding behind them. 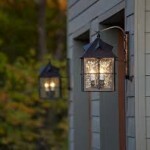 Often times, these electrical items are re-installed haphazardly – or not at all. 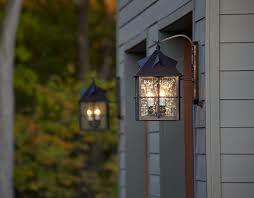 Incorrectly installed light fixtures and outlets can lead to fire and shock hazards. But who’s job is it to properly re-install your light fixtures, electrical outlets, meter box and safety switches? Multiple choice: A) The siding guy, B) The homeowner, C) a handyman, D) a licensed electrician. If you selected D, you are correct. their answer is anything other than yes, you may want to consider hiring another siding contractor. If you are thinking of having your siding replaced or feel that your exterior light fixtures, outlets or meter box are not installed properly, give Edison Electric a call, 612.385.7864. Our licensed electricians can pull down a couple of your exterior lights, and take a look behind them to make sure they are safely installed. If you have had your siding recently replaced, and you are unsure about the safety of your exterior electrical items, we have the experience to quickly identify the safety issues and craftsmanship to make it right!